Earn $8.79 in Rewards credit (879 points) What's This? Take a Bindle. Pack a bundle. 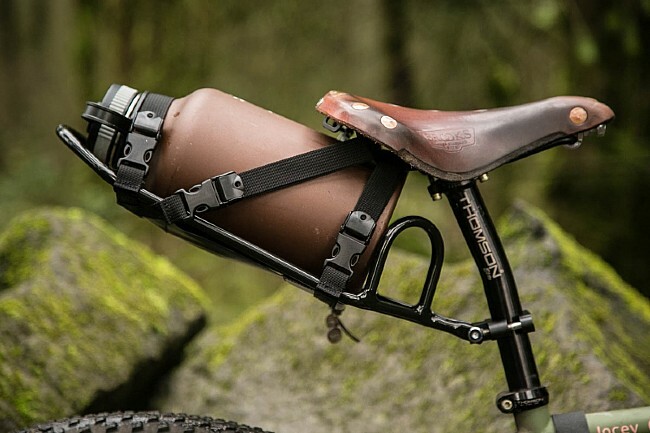 Some of us aren't the full-time rack type of rider, but when you need a little extra space for your stuff sack or other gear, Portland Design Works' Bindle Rack mounts right to your seatpost using just a couple of 5 mm hex bolts. 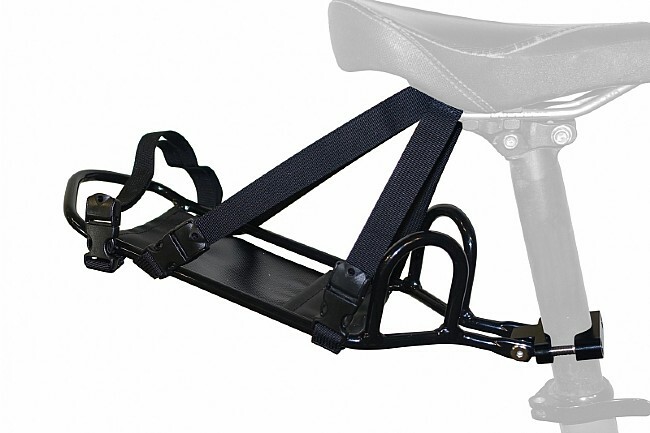 Heavy-duty straps can be used to compress your gear snugly down, and you can also run them through the seat rails for added security. Alloy construction. Compatible with seatposts from 22.0 mm - 31.6 mm. Rack platform measures 133 mm x 343 mm. Total rack length is 432 mm. Load capacity is 12 lbs. Rack weight is 13 oz. Don't limit yourself. I carry dry bags of many sizes, growlers, shoes, packages...the possibilites are endless. This is a must have for commuters, bikepacking, touring roadies. Will fit my full suspension mtb with dropper post. Fantastic product!